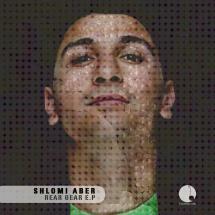 Shlomi Aber has racked up an incredible catalogue of releases for some of the scene’s most respected imprints. Step forward Cocoon, Ovum, Renaissance, Objectivity, R&S and Desolat, all highly prolific labels who have plumped for a bit of Shlomi over the last few years. And so it is of no suprise that Cadenza Lab joins this list of revered labels, and welcomes Shlomi to the fold with his debut release for Luciano’s Cadenza sub-label. The two track 'Rear Gear EP' is out this week on digital download.